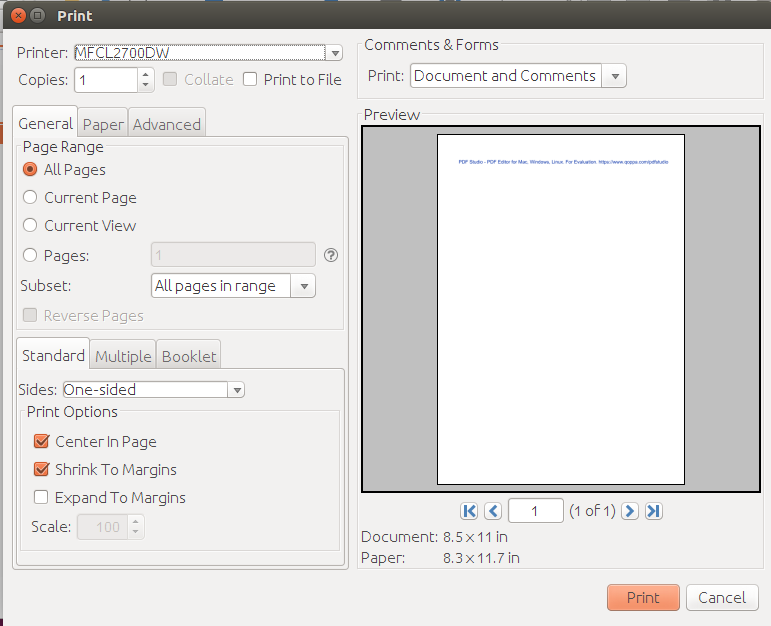 Q: I am running Ubuntu Linux, I just installed PDF Studio and I am unable to print a PDF document. 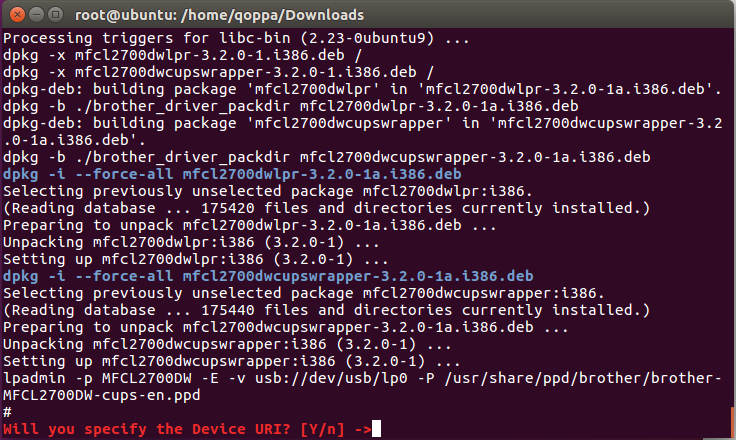 A: In order to print under Linux, you will need to install the printer driver for your printer. 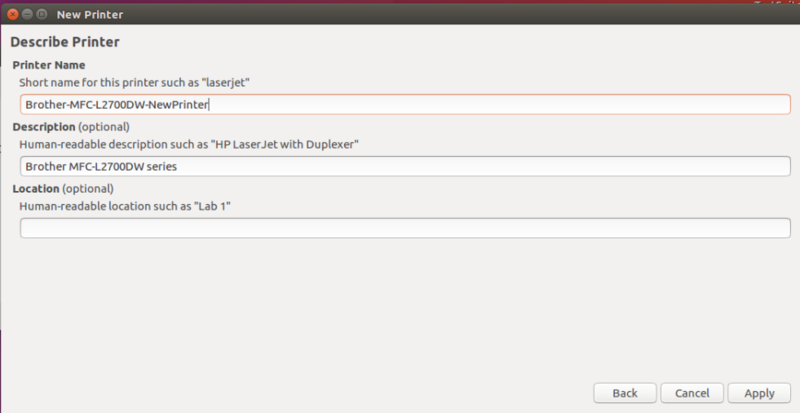 This is required to print from any application, not only PDF Studio. Different printers will have different setup, you will need to refer to the printer manufacturer website for instructions. 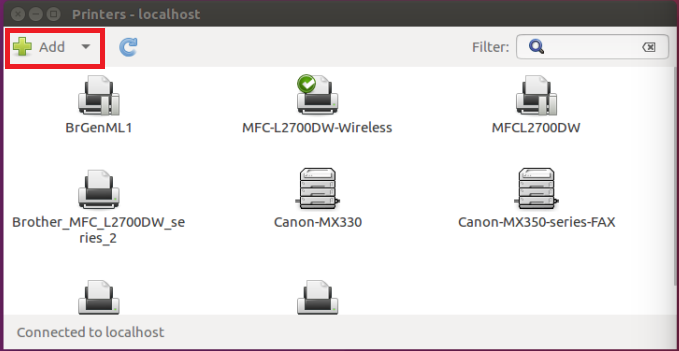 In this KB article, we’re going to install the Printer Driver for the Brother MFC-L2700DW printer on Ubuntu 16.04. OR use this direct link. Step 2. Open a terminal window. Step 7. The driver installation will start. Follow the installation screen directions. 3. 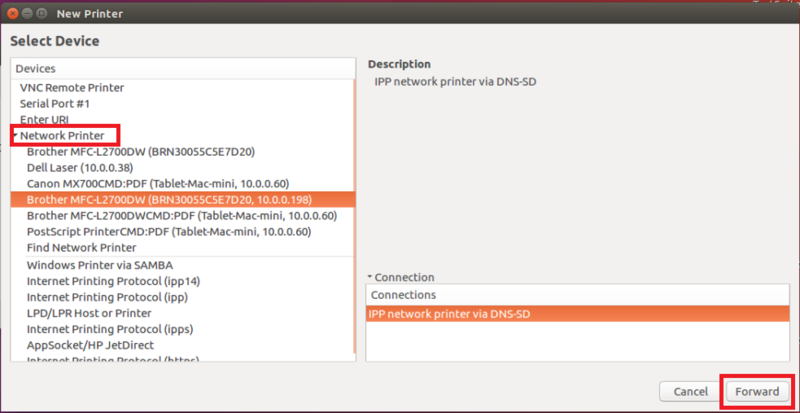 Click Network Printers dropdown and select the printer that you’re trying to add. 6. The new printer is now added, you can print a test page to check the result.